DIY Invitations add a personal and creative touch to any event. 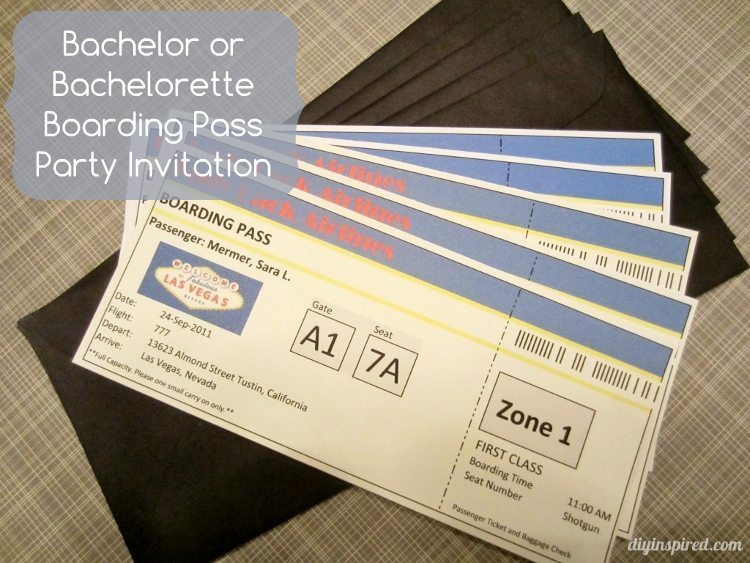 These cute Boarding Pass invitations are perfect for a bachelorette party, birthday party, or destination wedding. What I love about these, is that there are limitless fonts, colors, graphics, and free clip art that is available to fit any theme, destination, or travel plan. I made these invites for a bachelorette party. We are driving to Las Vegas; however a few personalized and altered touches made it work. For example, on the bottom I put “Full capacity. Please one small carry on only.” For the brides invite, I wrote “shotgun” as her seat number. 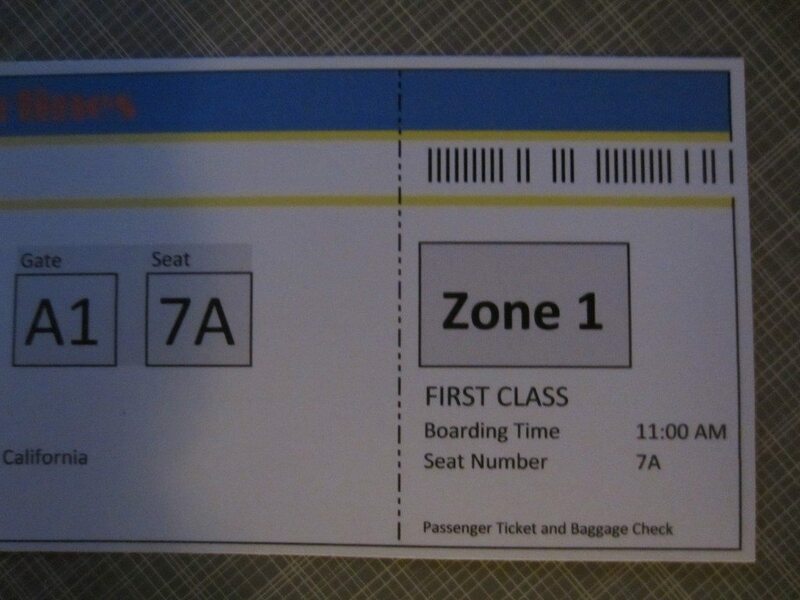 When designing these boarding pass invitations on your computer, consider adding the following information to make your boarding pass invitation look realistic. Name of the airline. 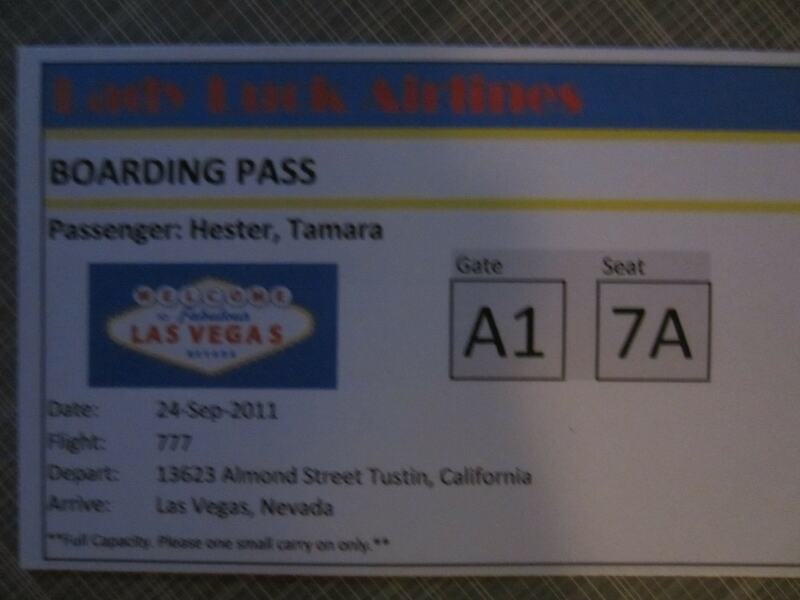 I used “Lady Luck Airlines” because we are traveling to Las Vegas. 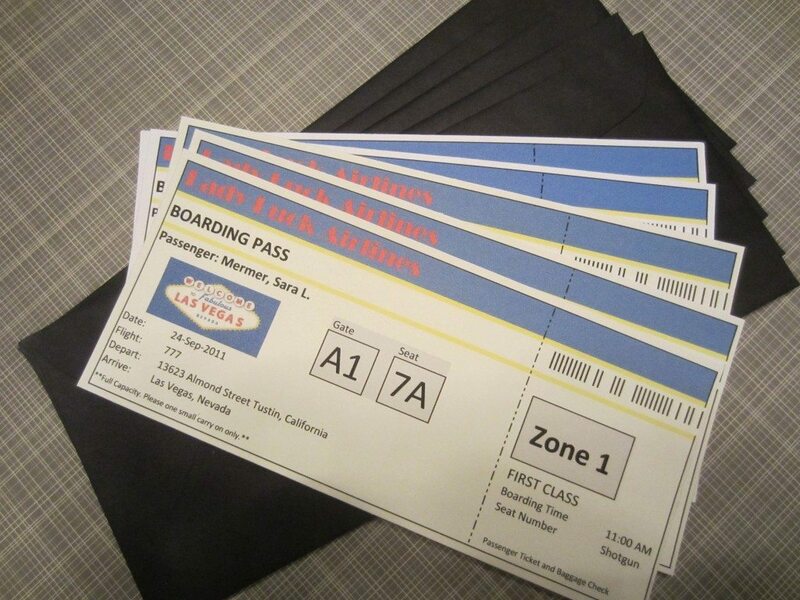 The words “BOARDING PASS” in all caps and in a larger font. The passengers name is, of course, the invited guest. 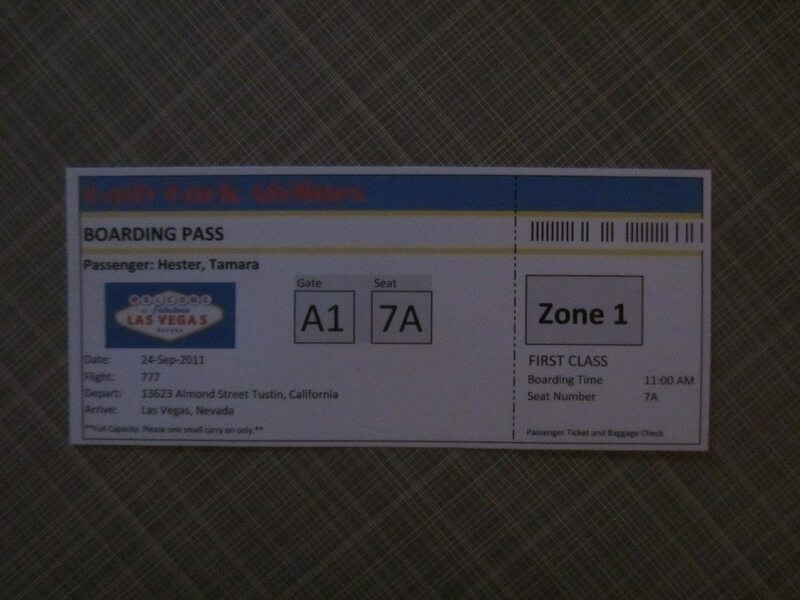 The date of the event, “boarding” time, flight number, gate number, and boarding “zone”. For the departure enter the place you are meeting. For the arrival, enter the destination. I also added a perforated line to the right on the boarding pass and on the bottom of that section I wrote “Passenger Ticket and Baggage Claim” in a small font. I also added a free Las Vegas Sign clip art that I found on Google Images. I printed the invitations on cardstock and cut them out. These actually didn’t cost me a dime because I already had the cardstock and black envelopes … super cute, easy, and free! Check out my other DIY invitations with full tutorials including a Rocker themed VIP pass invite and a simple invite to fit any occasion! Love these! So creative and much better than regular invitations. I’ll mention this to my sister for sure! These invites are a great idea!